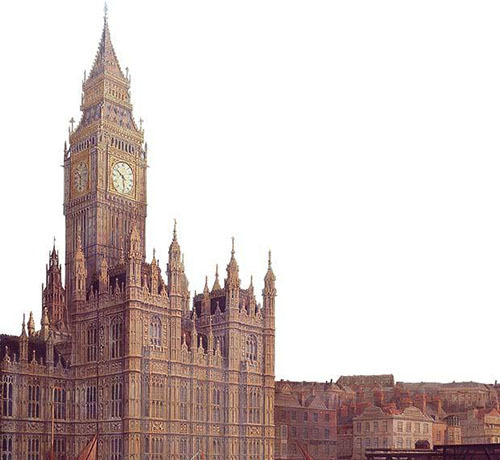 The beautiful Victoria Tower at the Palace of Westminster has always been overshadowed by its famous sibling for lack of a large clock. It is not an attention-seeker in that way. And doesn’t need to be. The tower was one of the last parts of the new Palace to be completed, in 1860, twenty six years after the destruction by fire of the old Houses of Parliament, and a matter of days after the death of Sir Charles Barry, its creator. 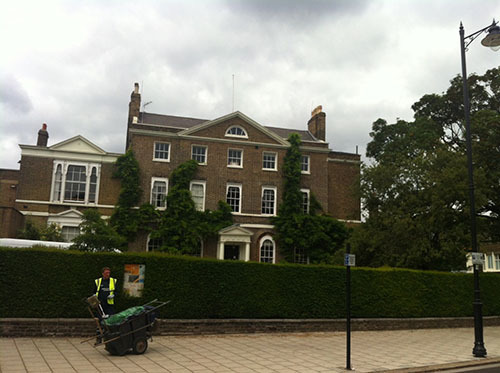 Architecturally, the function of the tower is to lend symmetry as a counterweight to the Clock Tower at the Thames end of the palace complex. But more important than this, the Victoria Tower is the home of the Parliamentary Archives and designed specifically for this purpose. 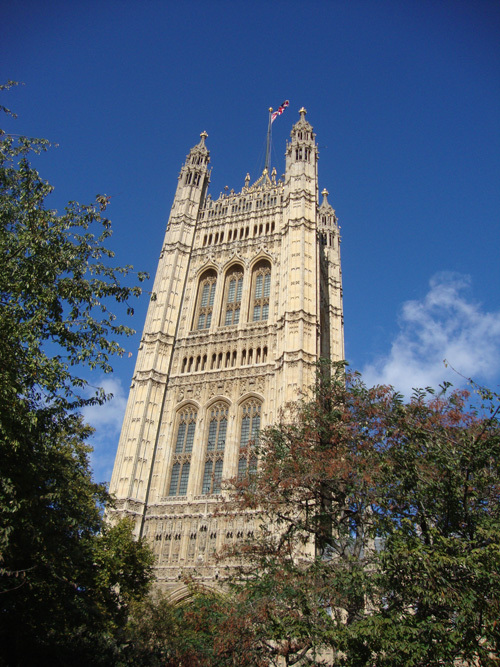 While most of the Commons’ records were lost in the conflagration of 1834, the Jewel Tower, housing the records of the House of Lords, fortunately survived and these documents are included in the collection. 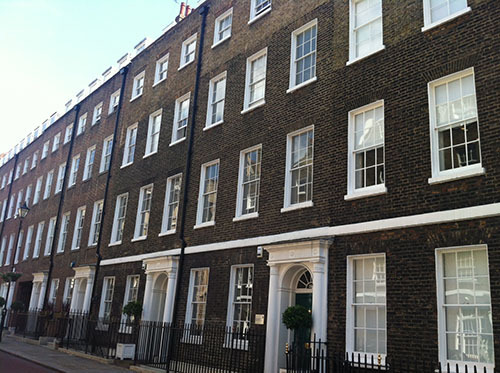 The archives are housed in the floors above the entrance archway in fireproof and atmosphere-controlled conditions. They comprise (among many other items, see Factsheet, below), thousands of Acts of Parliament on parchment scrolls dating back to 1497. 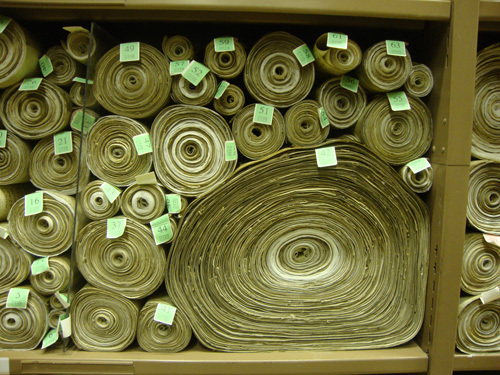 These come in all shapes and sizes, the biggest of which is estimated, unrolled, to be 345m long! The tower was originally to be named the King’s Tower after William IV, the sovereign at the time of the 1834 fire, but since its building only started some seven years after his death, it became the Victoria Tower instead. 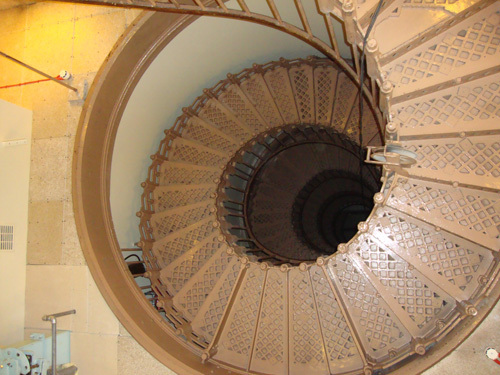 It is 120m to the tip of the flagstaff and has twelve floors of archive space, accessed – before a lift was installed in the 1950s – by a 553 step cast-iron spiral staircase. 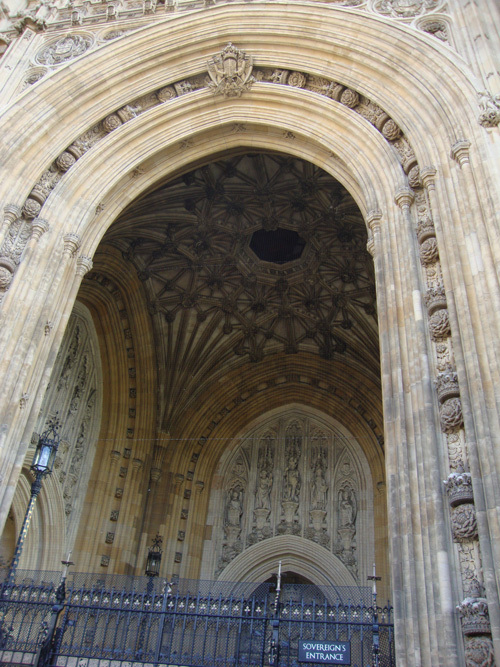 An intriguing feature of the Tower is the octagonal aperture in the roof of the entrance. Its function is to allow the winching of heavy materials up to the first floor level. Even now its sliding door has to be hand-cranked to open it. I resembles a perfect execution mechanism used by a James Bond villain to drop its victim some 60ft (my estimate) to the pavement below. 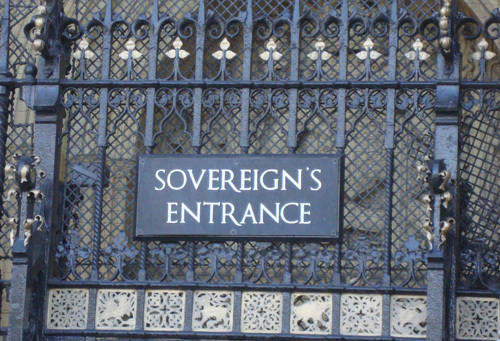 It’s also used by the army during the Opening of Parliament. Fully opened, an observer can see the exact moment that the Queen passes below and signal to the chaps on the roof to pull down the Union flag and to hoist the Royal Standard. 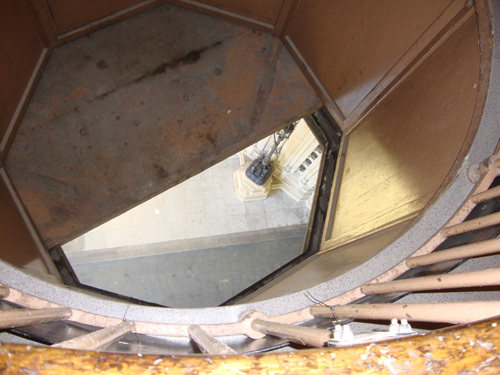 The partially-opened aperture for hoisting heavy items into the tower. 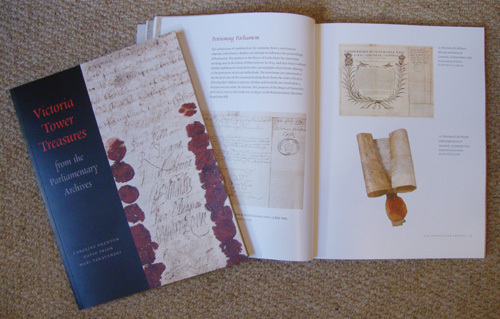 To find out more about the Victoria Tower, there is an excellent book Victoria Tower Treasures from the Parliamentary Archives by Caroline Shenton, David Prior and Mari Takayanagi. It is richly illustrated with stunning photographs. It’s available from the Parliamentary Bookshop at £17.99, here. (If you’re a London Historians member reading this, pull finger and enter the competition to win a signed copy by all three authors, per October members’ newsletter). 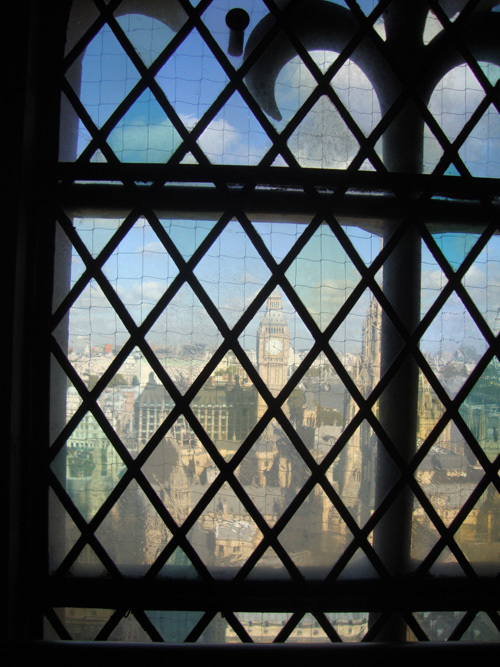 My deepest thanks go to Caroline Shenton, Clerk of the Records (and London Historians member), for giving me a personal tour of the Tower. It was a privilege and a delight. 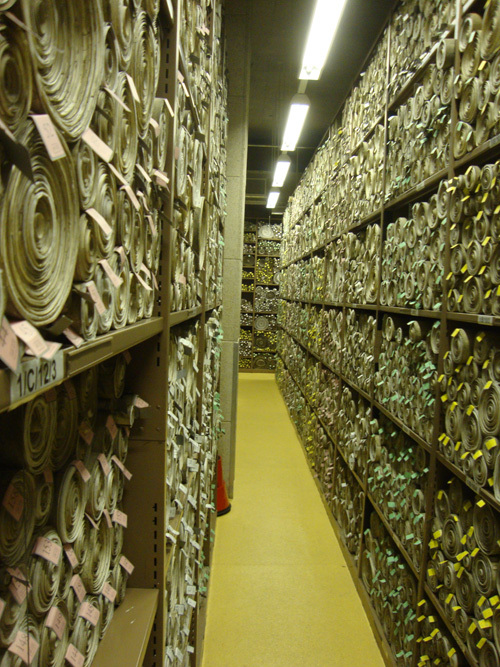 More information on the Parliamentary Archives.